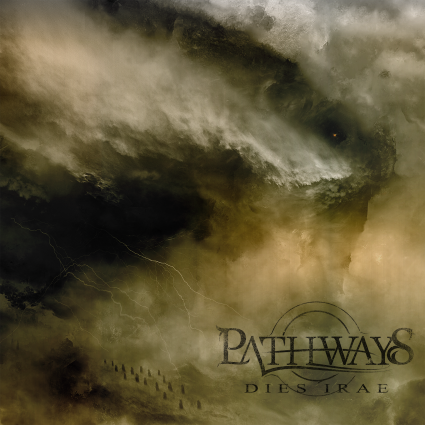 Time for some word association – Pathways’ Dies Irae (or Day of Wrath, a medieval poem which describes the Day of Judgment, the last trumpet summoning souls before the throne of God, where the saved will be delivered and the unsaved cast into eternal flames, and so on and so forth) is crushing. Or dynamic. No, wait, shattering. Ok, ok, it’s just hard to describe this EP in one word. Taking a page from groundbreaking prog-metallers Between the Buried and Me, Pathways’ latest release is the heaviest sonic roller coaster you’re ever going to ride – just make sure to keep your arms and hands inside the car at all times. Dies Irae is littered with stunningly epic and scintillatingly devastating prog-metal entries as complex and intricate as they are sonically abrasive (“Miserae”), though this EP is far from a one trick pony. In one instance you’ll find yourself surrounded by larger-than-life video game guitar leads (“Famine”) and engulfed in instrumental atmospherics (“Day of Wrath”), and in the next you’ll be serenaded with flamenco guitars (“Thirst for War”) and classical piano (“Extinguish the Stars”). Suffice to say, Dies Irae is a true cacophony of sound. It’s time to immerse yourself.